Tom Stoltman’s journey into strongman began with watching his older brother Luke Stoltman training in the gym. 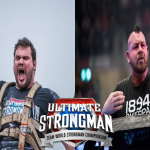 It inspired the younger Stoltman brother and has helped him improve in the strongman circuit. At 6’6 and 342 lbs, Tom is one of the bigger men competing in Ultimate Strongman competitions. He says his frame makes the Atlas Stones his perfect event. However, has a tall man he says squatting is hardand that it feels like he has to lower for miles to hit parallel! 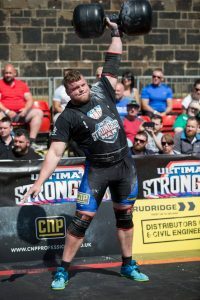 Tom has already made his mark with Ultimate Strongman by competing at the first World Championship and placing 4th against the worlds best. 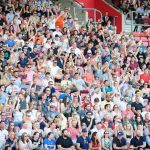 In 2017, he recorded his best performance to date by placing 2nd in the UKs Strongman and losing out to the experienced Laurence Shahlaei. This year Tom plans to go one better in UK Strongest Man 2018. He will be competing in Summermania 2 and the Team World Championship. To see him live, book your tickets now by following the links.